GREAT LOCATION !! Gameroom, 2 master suiter, professionelt indrettet !! Professionelt forvaltet og fuldt møbleret feriehus med privat pool ..
Dette hjem er professionelt indrettet og tilbyder et gameroom og 2 Master Suites. The size was perfect for the group but some routine upkeeping could have been better. The house location was awesome and located just of Florida 192 which was nice. The general up keep of the property could be better such has a poorly repaired ceiling in the dining area and dirty cold air returns. Overall a good prooperty and location that I would rent again if I needed to. The villa itself is beautiful and the location is great. However considering it can sleepmup to ten people the pool area is too small and there is no pool furniture ie sun loungers. 4 chairs and a small table doesn’t really work when there are five of you. Oddly there is no kettle in the kitchen and even though there were two toasters neither worked. Floridascandi the management company were excellent. I contacted them about a cockroach issue and it was dealt with immediately. 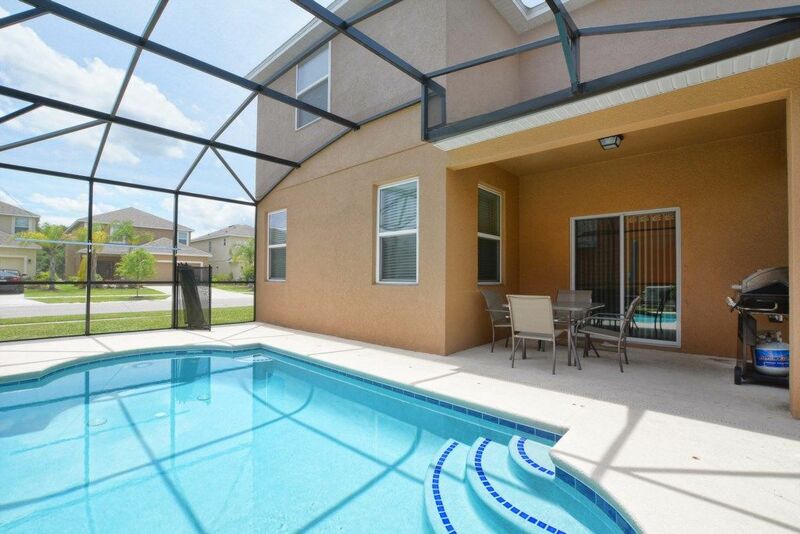 I have been coming to Florida for 12 years and have rented several villas over the years. This location is perfect for theme parks etc. I would stay at Veranda Palms again but would chose a villa with a better pool area. The management company was very nice and pleasant. The house was clean and exceeded our expectations. Very pleased with our overall experience and will book again in the future!